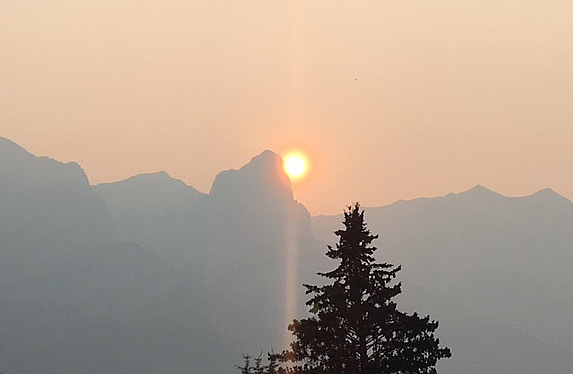 It has been a relaxing summer, but we did take a trip out to the spectacular Canadian Rockies—Canmore, specifically—where I was not only able to have some downtime, but also to perform a Patsy Cline show to a great crowd in Canmore. 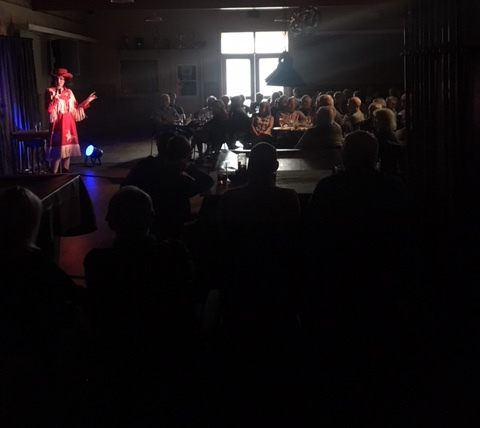 We loved our time in Canmore so much, we'll be back in the spring of 2019, when I'll be performing my big DIVAS show. Here are a couple of videos and some pics of my time in Canmore. Having some fun with the Boomerang option on Instagram. Having some fun with the slow-motion video setting on an iPhone camera. A side shot of some of the crowd listening to another beautiful Patsy Cline song. Some of the smoke from the many forest fires in British Columbia has made it out to Alberta, giving the sun an orangey hue.